It does generate a wonderful range of sounds, buzzing to clattering and much between. Of course, that's of less import than the coordination between the two musicians and these talks are marvelously cohesive, sounding as one. You can, on occasion, pick out the resonance of the strummed piano wire but it weaves perfectly amongst the aural skeins of the Dopleta. Calm in pace but aboil with activity, these talks reveal new thematic connections on each listen. Both players give the sense of being very intent, very concentrated, paying great attention to where the music wants to go--harsh when it needs to be, sedate as well--maintaining a spacious but firm kind of control. 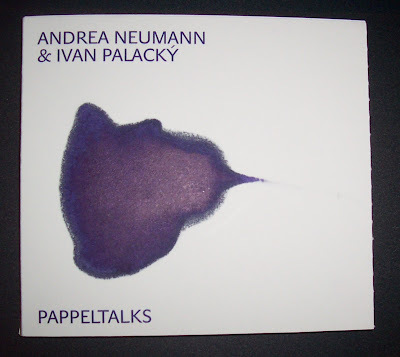 The disc is also arranged quite well, the final Pappeltalk a kind of summation, a very rich 15 minutes worth of delicious granules, deep thrums and delicate plucked tones; very Roweian. Excellent work, get it. Oh and I won't mention anything about the cover on the small chance that someone will be as surprised as I was. 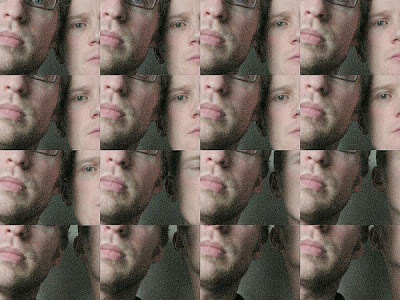 Two new releases from the duo who brought us "Radical Improvisations" a couple years back. 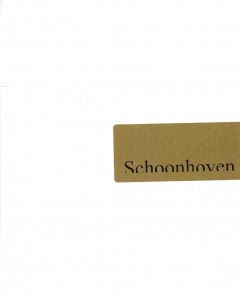 Schoonhoven, so named in honor of ZERO-movement artist Jan Schoonhoven (see below) comprises six tracks (seven listed on the sleeve, six showing in my player) from 2007-08. Not solely due to the guitar/turntable instrumentation, but the first things that leaps to mind are the Otomo/Tetreault duos from years past, for both the ferocity and the in-your-faceness of the music. It's very "hands-on", more toward the gestural noise end of things than "eai" as such. In many ways, it's a kind of music I've found myself veering away from, but this pair, here, really digs in with all four hands (possibly a couple of feet as well) and the resultant swarm of crashes, blips, whooshes, snatches of LPs, bangs 'n' beeps serves to create a convincingly plastic wall of bric-a-brac. Nicely done and, at about 1/2 hour, perfect length for work of this density. 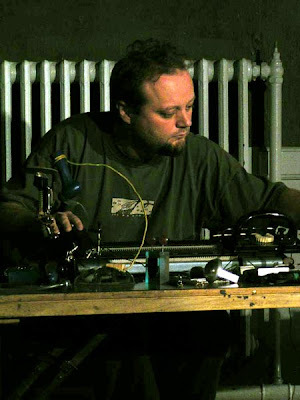 Its companion release, Hollands Licht, as one might gather, attempts to make sonic reference to the uniquely limpid light of that area that has infused canvasses from Vermeer to Mondrian. A tall order, to be sure, and if there's any way to tell whether or not they succeeded, I'm unaware of it. 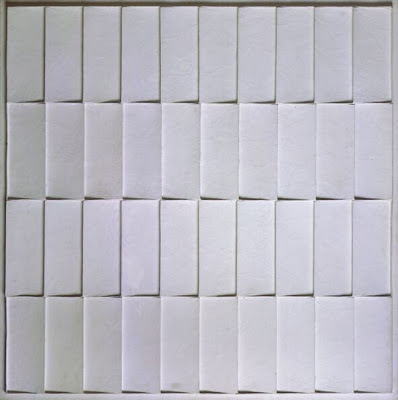 The music, in many ways, is even harsher than on "Schoonhoven", the cuts more abrupt, the variations in microsecond attacks more severe. To the extent I hear it as pricklier, I'm not as fond of it as the prior disc, but those sharp, painful points, taken on their own, work just fine, though there are loopy moments as well and its 28 tracks in about 40 minutes pushes things a tad inasmuch as one tries to get a handle on the elaborate display. Still ok, though, noiseheads should get quite the kick playing this at volume. 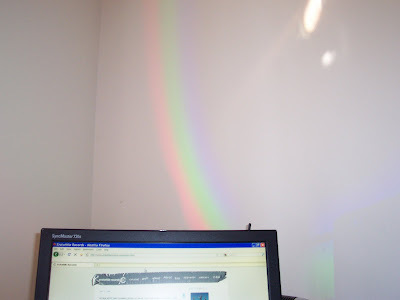 Addendum: Miraculous apparition of rainbow image on the wall behind my computer, source unknown. any link?... to try it. hey whre is the link to dowload this album ? I can't find it!